I came across discussions on various forums and multiple articles on the topic “starting a web hosting business”. There were lots of insights shared by experts on how to make this business profitable. Take my opinion, Web Hosting business is not profitable from day 1. You need to invest your time, money and research so that you can build a successful online business. We started our journey a few years ago and here today I am sharing my experiences, do’s and don’ts in setting up your own hosting company. How much do you think is enough to start a web hosting company? $100, $500 or $2000? If you ask me, we started MilesWeb at pretty less than $100. It all depends on your technical expertise. Understanding the business model is easy, but executing the plan and maintaining the infrastructure is something which you need to take care of. If you are a web developer and familiar with Apache, Nginx, Lightspeed, cPanel, Centos and mostly Linux part, you can build a successful web hosting company. There are multiple billing software and helpdesk options available online. I would recommend WHMCS as your billing and Helpdesk software as many providers are using it today. Apart from this, you will also need a payment gateway through which you can accept the payment online. You need to create a merchant account at PayPal, 2Checkout, and other such payment options. Services to offer and how? Now that you have a domain, website and billing system ready, you need to focus on what services and products you can offer. I have shared the details below on services you can offer. I will share our story how we started. We started with reseller hosting account as we had some experience in managing websites through cPanel and WHM. We started to offer shared hosting by creating our own packages in WHM. Starting with reseller hosting is the option when you are low on budget. If you have a good budget, you can always setup your own VPS or a Dedicated Server but if you start with this option, your return on investment may take some time to recover. You need to fill in the server quickly so that you can start making money out of it. For example, if the cost of VPS is $30/month, you need to setup many shared hosting accounts which will generate revenue of more than $30/month by offering shared hosting. VPS or a Dedicated Server gives you an advantage over reseller hosting as you get more resources and more control over the server. Again, you need to be technically sound to manage your own server or consider a fully managed VPS or a Dedicated server if you don’t want the headache of server management. Other services which you may plan are selling or reselling VPS and Dedicated Servers. As I said above, If you are technically sound in Linux, servers, and virtualization technologies, you can setup your own server to create VPS on it and sell. Using virtualization technologies like OpenVZ or KVM, you can split a single dedicated /Physical server into small VPS’s i.e., virtual private server. Dedicated Server pricing starts from $100/month to $500/month depending on the server configuration you choose. You can plan the number of VPS’s you want to create so that you can select the dedicated server configuration accordingly. If you are not familiar with these virtualization technologies, you can consider our VPS reseller option. What we do is, we assign a pool of hosting infrastructure resources i.e., CPU, RAM, and storage. 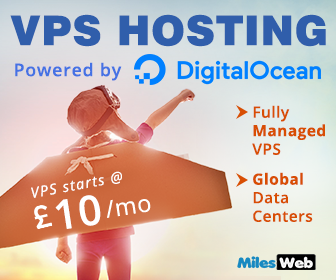 Using those resources, you can create and sell VPS through your website directly. You will get a control panel access through which you can create and manage your VPS’s. Finally, the Dedicated Servers. This service is required for users who have outgrown shared and VPS hosting. Dedicated server is for Enterprise customers who want full control over server or users who have high traffic website/applications. In this case, you can purchase Dedicated Server at one price and sell to your customer by adding margins on it. You can refer various web hosting rates in India and plan your margins accordingly. You can also consider our dedicated servers to resell it to your customers. I think I have covered all the aspects that are involved in setting up your own web hosting company. All you need to do is keep patience and focus on your marketing and Sales strategies. It’s a very good business in a long run as it gives you recurring revenues. If you are passionate about helping developers, individuals, small businesses and have customer centric approach, nothing can stop you from building a successful web hosting company. 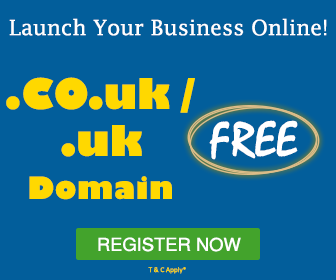 There are thousands of businesses going online daily and getting a chunk of its market share is not that difficult task. We help many resellers to Setup their new ventures and achieve success with their web hosting business. MilesWeb would be your ideal partner in success. Good Luck and be your own Boss! I am Founder & Director at MilesWeb. I have been working in web hosting & Data center business since 2006. Apart from being a Sales and Marketing professional, I am more focused on customer satisfaction and interacting with Customers, Partners and Resellers. Very well put up the web hosting information as far as the novice user or experienced user is concerned. The technical and general information which is shared for beginners those are interested in building their own setup for the web hosting is also very well portrayed. It is good for the newbie who wants to begin their career in web hosting industry. Indeed, nice sharing! If you are setting up your own hosting company then all you need to focus on the points mentioned in the article. Initially, you can give the promotional offer to your potential customers, if you are getting a positive response, then apply the same for the rest of the products or services.